Thanksgiving really is a time to spend with your family and friends celebrating what you are truly thankful for. But it is also well known for everyone sitting down to a huge meal that traditionally is laden with meat products. I have celebrated decades of this holiday serving plant based products only. It is absolutely delicious and much easier than you think. Today, we are going to cover Main Dish alternatives that will leave your guests wanting seconds and thirds! No Need For Turkey or Ham! 1) With only a 22 minute cook time Gardein Savory Stuffed Turk’y is a great choice. 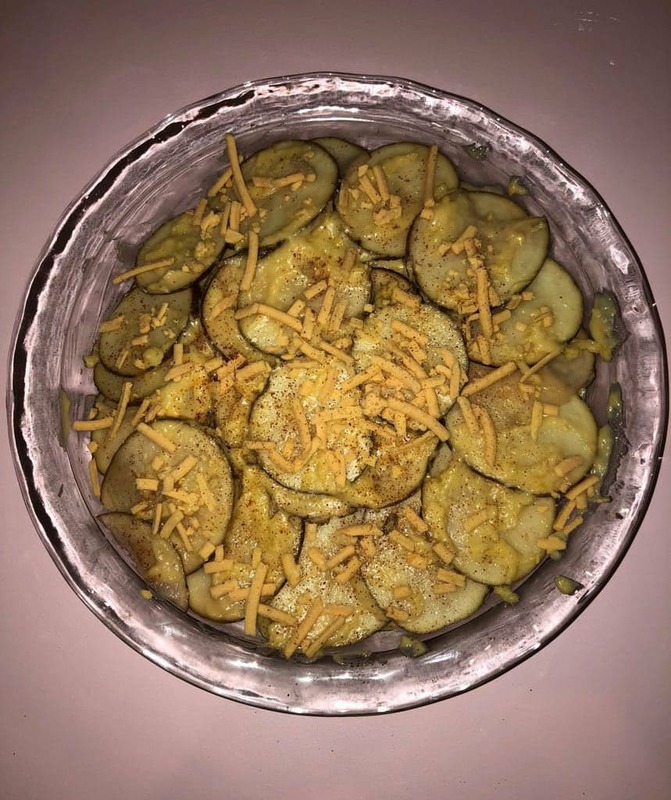 Delicious and easy! 2) Field Roast Stuffed Celebration Roast - Stuffed with a savory sausage-style stuffing made with butternut squash, apples and mushrooms makes this plant based roast and great addition to your meal! 3) To feed a big crowd try the Vegetarian Plus – Whole Vegan Turkey. Tastes great and can feed over 20 people. And for those of you who want the “look” it does look like the meat option. 4) Vegetarian Plus also makes a ham substitute with an apricot plum glaze. 5) For cozier dinners, Gardein offers a selection of Turk’y cutlets which I quite often include at my holiday dinners and my guests love them! 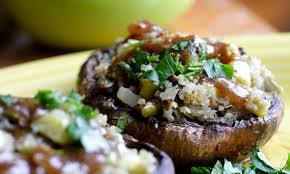 - Trim the Portobello mushrooms and brush both sides lightly with olive oil. Season with salt and pepper and place on parchment lined baking tray. Bake for 15 minutes and remove. Let cool slightly. - While mushroom caps are cooking, add oil to a pan on medium heat, and add chopped vegetables and all spices. Cook until soft (about 7-10 minutes). Do not brown. - Add rice and stock. If the mixture is dry add a bit more stock, then remove from heat. - Mound stuffing into each mushroom cap. Place in 350 degree oven and cook for 15-20 minutes. - In a medium saucepan heat oil or vegan butter over medium heat. - Add onions and garlic and spices, cook for 1-2 minutes and then add mushrooms. Sauté until soft (about 7-10 minutes). - Add your corn starch or flour to the pan and stir until veggies are coated. - Slowly add your stock, stirring constantly. Cook for about 5 minutes. - Taste and adjust seasoning if needed. Where Do Vegans Get Their Protein From?? This is most likely the number one asked question I hear from non-vegans. They will probably never stop asking, and I will never stop answering. So hear it is again. The recommended intake of protein is .36 grams per pound, so an average of 56 grams per day for a sedentary man and about 46 grams for an inactive woman. Healthy active people and even serious body builders have no problem following a plant-based diet as well. You can incorporate protein all throughout the day on a plant-based diet, especially in snacks, where it’s most often overlooked, without really needing a massive source at every meal. Here are just a few easy ways to include protein in your everyday lives. 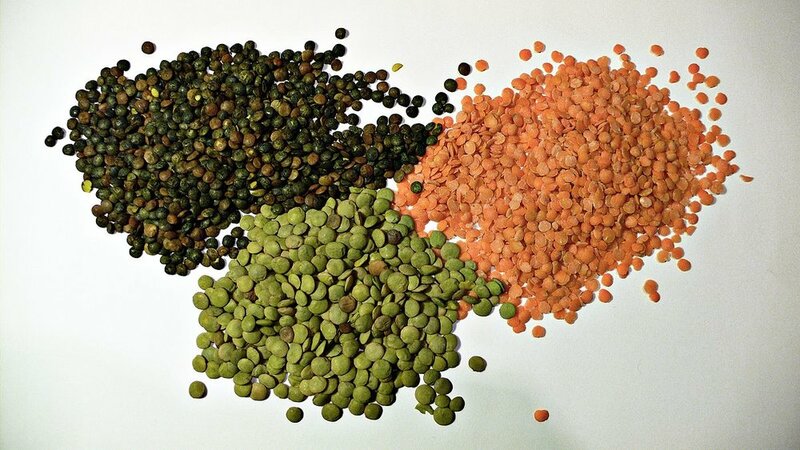 Lentils – They are super affordable and super-filling! They add about 9 grams of protein for each half cup, plus a ton of fiber! Add your favorite Mexican spices to cooked lentils, throw in a few veggies and your fav salsa and presto – Lentil Tacos! A cup of cooked lentils added to your favorite salad is another easy way to add this versatile ingredient. Quinoa – This glutton-free grain racks up 8 grams of protein per cup, and is a great source of magnesium, antioxidants and fiber! Transform your morning smoothie into a legit meal by adding some cooked quinoa. Replace your morning oatmeal with this cooked grain and add a handful of your favorite berries. Adding to salads, soups and stir-fry’s are all easy ways to include quinoa in your daily meals. Nuts and Seeds – Almonds, Walnuts, Cashews, and Pumpkin, Chia and Flax seeds are all great sources of protein, fiber and many other health benefits. Hemp seeds are a complete protein that are hard NOT to love. Packing 13 grams in just 3 tablespoons, these tiny seeds are easy to add anywhere. Try mixing in nuts to your non-dairy yogurt, sprinkle a handful on your favorite salad, add ground flaxseed to your morning smoothie, or just snack on a handful of almonds. Artichokes - Containing 4 grams of protein in just 1/2 cup, artichoke hearts are a great way to boost fiber, protein, and they are filling but low in calories. Edamame – Another great source of protein, antioxidants and fiber, these young green soybeans are delicious and pack in 8.5 grams of protein per ½ cup! Snack on them with a sprinkle of salt or add to soups, burgers, and salads. You can also dry roast them for a great snack. Green beans, Broccoli and Asparagus – These are great sources of protein and are all easy to add to your best recipes. 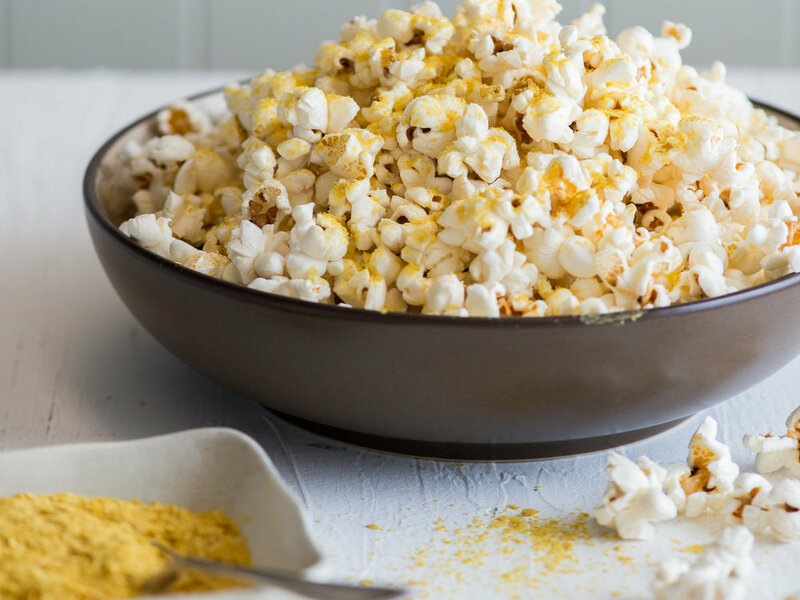 Nutritional Yeast – This cheesy tasting ingredient contains 8 grams of protein in 2 tablespoons and can usually be found in the Natural department of your grocery store. An easy way to add this to your diet is to sprinkle some into your mashed cauliflower or potatoes, salads or pizzas or add to a bowl of popcorn. Cheese dips and Mac and Cheese are all great foods for this ingredient.